A place with no Facebook is the debut solo album by G under the name “a cat from Alpha”. Recorded in a very short time last fall, it’s a departure from the indie rock of the Cats from Alpha and finds G in a more acoustic territory. Some cats came by to add something here and there but it’s mostly G alone, singing and playing all instruments. Mixes were made on the fly, hardly taking more than a couple of hours, giving the record a rough and authentic sound. 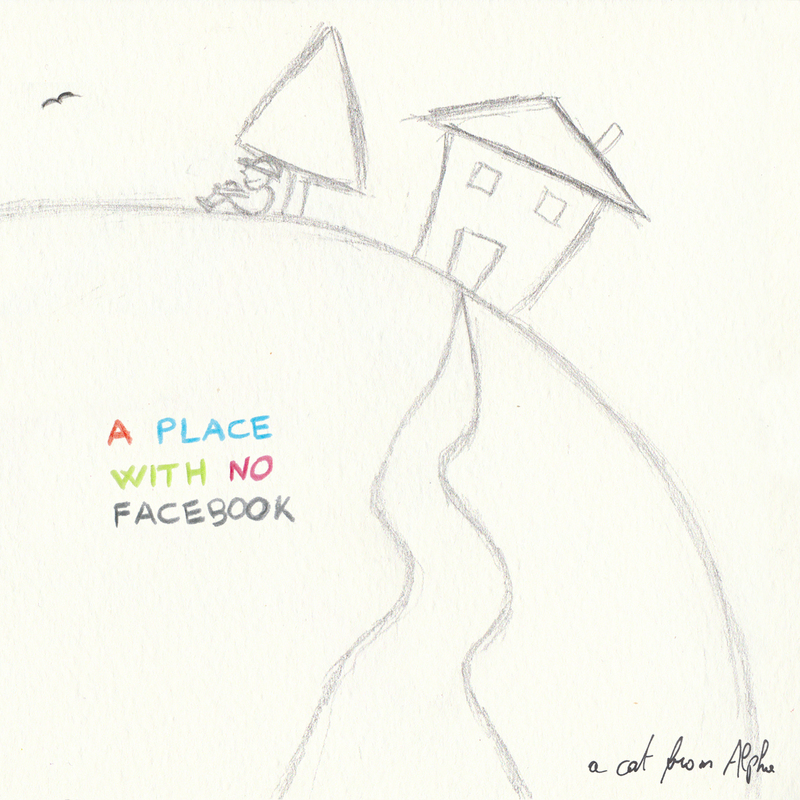 A place with no Facebook is available in digital format, on streaming services and on numbered limited edition cd. Recorded and mixed by G at Strawberry Fields. Mastered by Carl Saff at Saff Mastering. Original drawings and paintings by Giulia Zantedeschi, Giuseppe Vallenari, Margherita Vallenari and G.